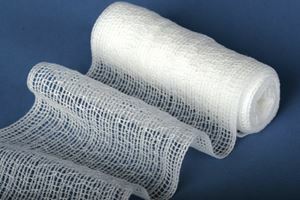 Gauze Roll Sof-Form Relaxd Ns Lf 2"x75"
--- 2" x 75" 3" x 75" 4" x 75"
Sof-Form Gauze roll by Medline Canada is designed for dressing applications. These bandages are gently secured on a wound. It is made up of Rayon combined with Polyster to provide stretch memory when applied. Available in 2" x 75", 3" x 75" and 4" x 75".